I read in the paper yesterday that this week our capital looks set to be ‘battered by torrential rain and gales,’ with warnings of potential flooding. Sooooo, that’s a pretty big ‘no’ to Spring then, right?! At a time where I should be perusing the pastels in my wardrobe, I’m leaning heavily back towards the cashmere. One colour I particularly feel weathers (for want of a better word) this unpredictable time of year well, is olive. Olive is one of the most versatile colours you can wear, being both cool and casual, whilst also being a while lot more forgiving than the predictable summer khaki options that are currently available en masse on every one of our high streets. 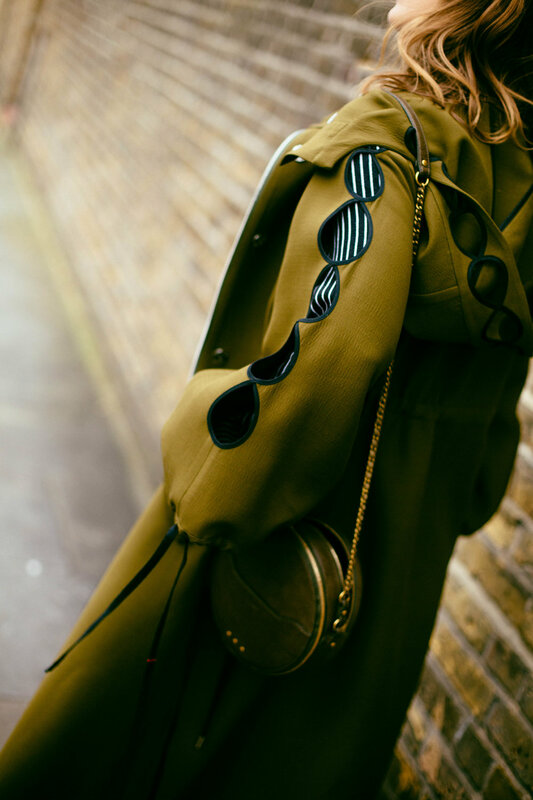 This show stopper of a trench coat is by the wonderfully talented Huishan Zhang, who I have long been a huge fan of. 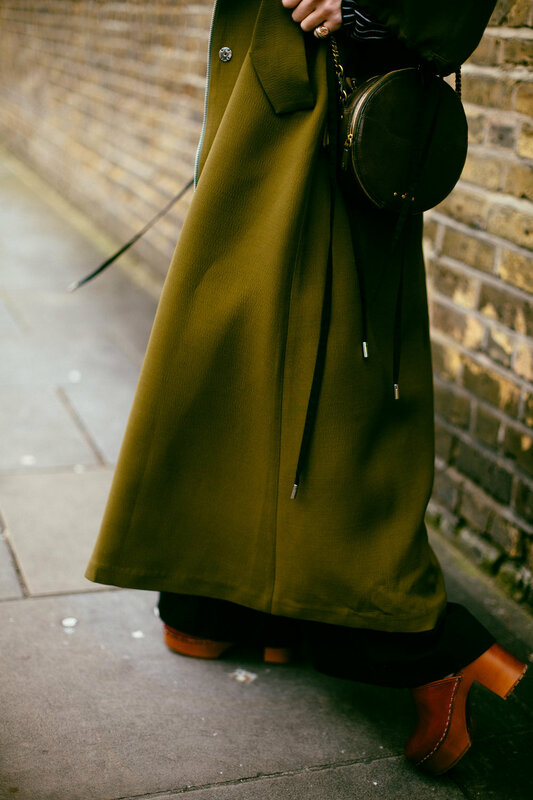 Combining both his Eastern heritage and Western design skills, the coat’s olive scallops are both powerful, yet pretty.